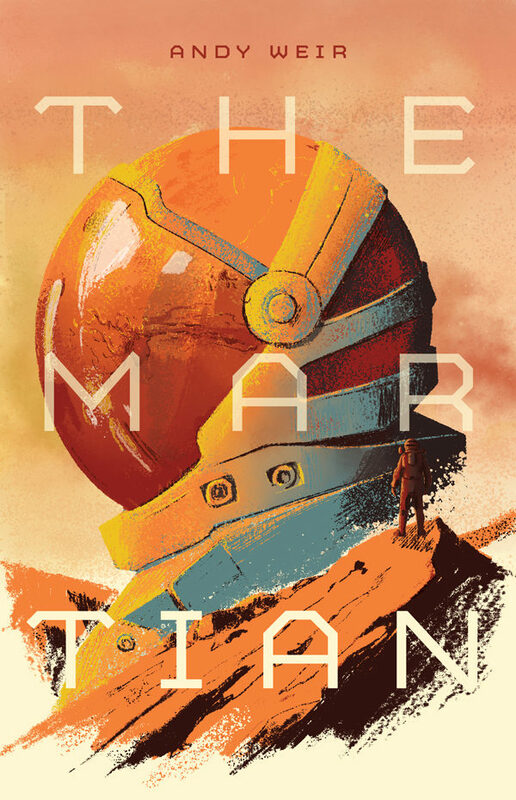 I illustrated and mocked up a cover for one of my favourite books, The Martian, by Andy Weir. 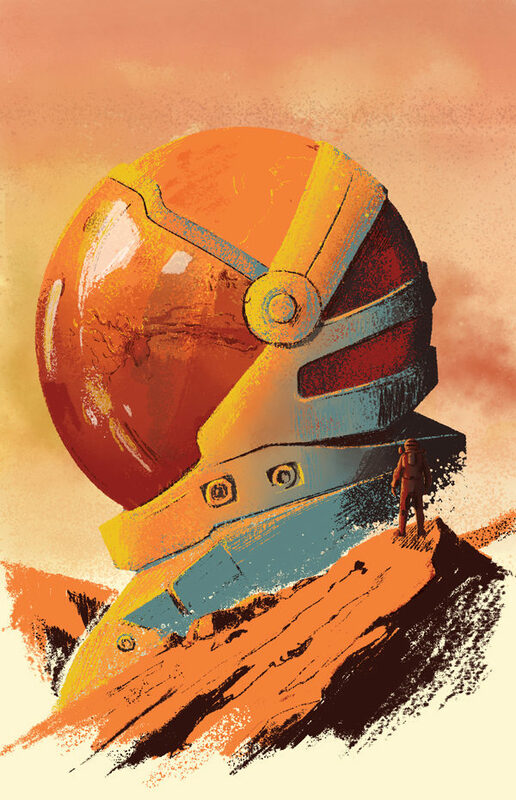 I came up with the idea that the space helmet would also integrate with Mars (as they’re both circular) and form the main part of the illustration. I also wanted to try to portray the aloneness of Mark Watney (the Martian himself) so had the single figure on top of a Martian mountain range.